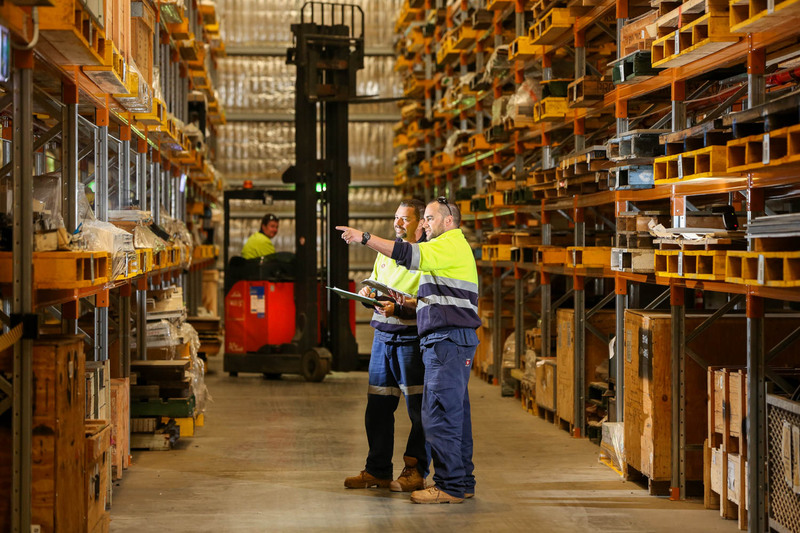 While there are many different factors that contribute to a customer’s overall satisfaction with your business, one factor that absolutely can’t be overlooked is warehouse organization and management. A client or customer might never see your warehouse in person, but a chaotic and disorganized warehouse can still have a very negative impact on their experience with your company. Here’s how an organized and efficient warehouse can help keep customers happy and turn them into repeat customers. People have grown accustomed to very fast order fulfillment and shipping times. At best, having to wait an excessively long time for an order is frustrating for the customer and at worst, it can lead to cancelled orders if the customer decides they can get it faster from another business. The only thing worse than having to wait too long for an order is receiving an order that isn’t exactly correct. To keep customers satisfied, one of the most important things you can do is make sure their orders are filled quickly and accurately the first time around and a well-organized, properly-managed warehouse is crucial in making that happen. With a thoughtfully-planned warehouse storage system and a good warehouse management program, employees waste less time searching for inventory since it’s easy to find exactly what they’re looking for, enabling them to quickly get orders packaged up and shipped out. Not only does this make the customer happy, it helps cut down on cancelled orders, the amount of customer service phone calls you receive, and number of returns you have to process. Even if you take steps to reduce the number of customer service calls you get, there will still be times when a customer will need to get in touch to ask questions or change their order. Good communication is vital to good customer service. When a customer calls, they want to get answers to their questions right away without being put on hold for a long time or having to wait for someone to call them back. Mobile warehouse management systems bring complete visibility of your warehouse right to any mobile device, making it easy to find the information you need within a matter of seconds. One of the few constants in life is change and that’s absolutely true in warehouses, too. Warehouses are constantly evolving and it’s very common for demand for certain items to change over time. Strong warehouse management helps you stay on top of those trends so you can anticipate changing customer needs, helping you provide the highest level of customer service. The company I work for has been debating whether or not it would be a good idea to hire a warehousing service to make sure that everything is running efficiently in our storage facilities. So thanks for talking about how having a management program and keeping everything organized will allow employees to find items easily and ship them much quicker. I will definitely have to tell my boss that we should hire a warehousing service so that we will have a more organized facility that will allow our shipments to be sent more quickly.